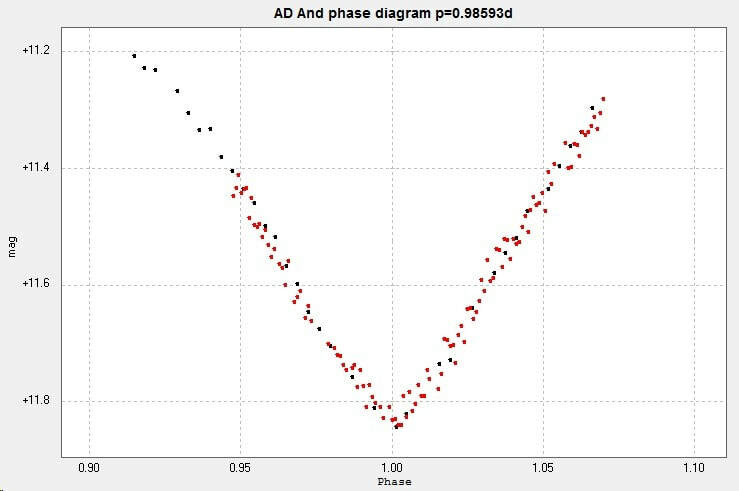 Light curves and phase diagrams of the EA type eclipsing binary AD Andromedae. 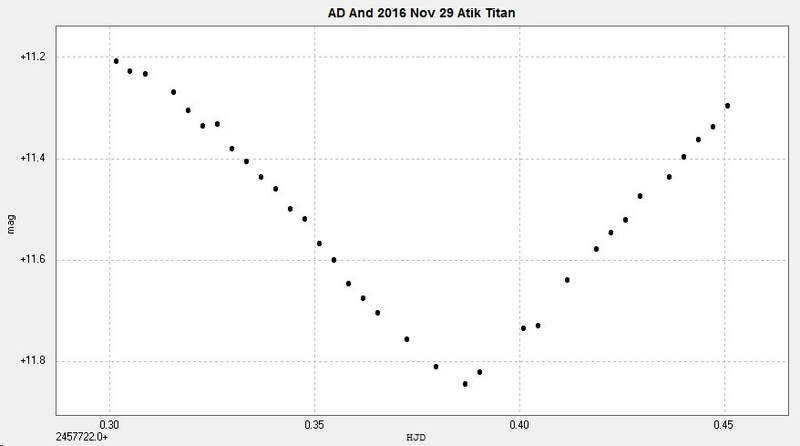 Two primary minima were observed using the 2" Titan at Somerby Observatory on November 29 2016 (34 data points) and December 4 2016 (113 data points). Combining the above two minima produced the following phase diagram. 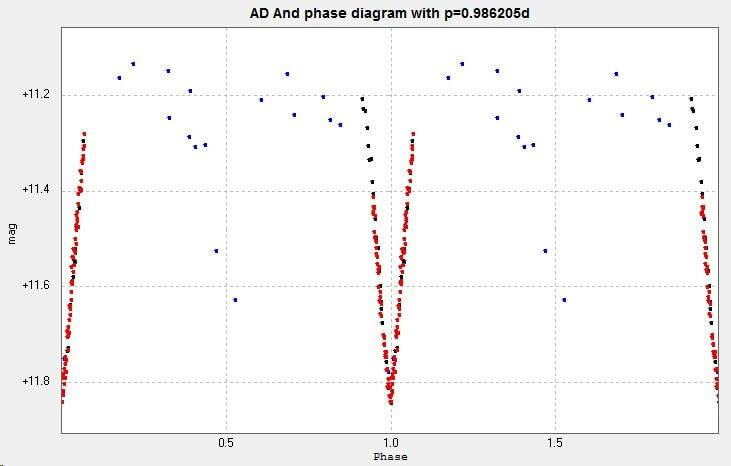 The period of 0.98593d was the 'best fit' to this data, which compares to 0.986202d from the AAVSO VSX and 0.9862210d from Kreiner (accessed 2016 Dec 5). I also had 21 observations made by the Galaxy Camera of the Bradford Robotic Telescope. 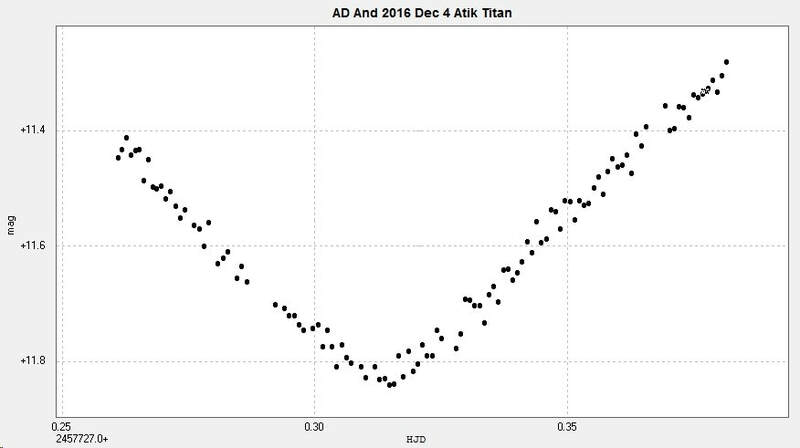 There weren't enough good observations (due to poor weather) to generate a good light curve but I used all the available ones, combined with the above minima, to generate a phase diagram of the complete period. 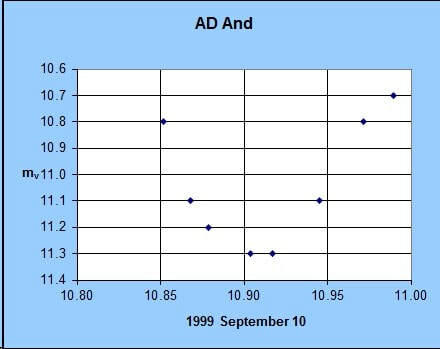 ​This hints at the secondary eclipse which is almost identical to the primary eclipse. 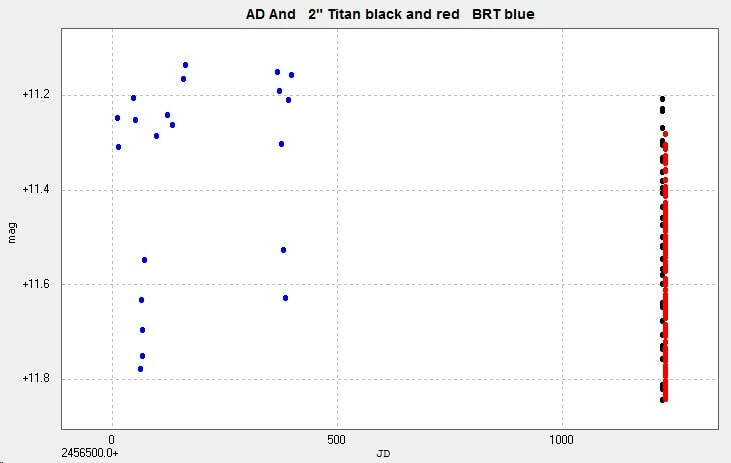 It does, however, generate a better estimate of the period compared to the catalogue values. Just for the sake of completeness, this is a visual observation of a minimum that I made with my 10" Newtonian.